President Trump has dug himself into quite a hole with the ongoing government shutdown, and the effects are beginning to show themselves in his polling numbers. A new CBS News poll released Wednesday morning shows that Trump’s approval rating has fallen three points since November and now sits at 36 percent, just one point above the record low for his presidency. 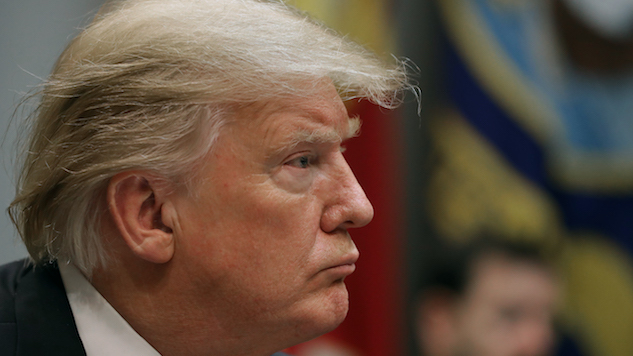 The poll reveals that 66 percent of voters want Trump to agree to a budget without funding for the border wall, compared to just 31 percent who feel he should hold out. It also shows that 47 percent of people polled believe House Speaker Nancy Pelosi is handling the budget negotiations better, compared to 35 percent who feel Trump has the upper hand. Another poll released Wednesday morning by Politico and Morning Consult shows that 54 percent of voters blame Trump and Republicans on Capitol Hill for the shutdown, while just 35 percent blame congressional Democrats. These polls come as the longest government shutdown in U.S. history plows through its 32nd day, marking more than a month without pay for furloughed federal workers. Senate Majority Leader Mitch McConnell has finally scheduled votes on the Senate floor on Thursday for two competing bills to reopen the government, one with wall funding and one without, the latter of which was already passed by the House of Representatives. Trump might have been hoping for a boost in his polling numbers after the annual State of the Union address that was scheduled for tonight, but Speaker Pelosi has refused to hold it in the House chambers while the shutdown continues. Trump told reporters late this afternoon that he is planning an “alternative” for the State of the Union, but he has yet to give specifics on what exactly this means.